Sandy Grade School KPI Site is designed to promote early childhood learning and help transition youth into middle school. It is proven that if you can enhance and educate youth before the third grade, that those youth will grow into productive healthy adults. It is our mission as an KPI Site to promote early literacy, pro-social skills and behaviors, help with early childhood transition, improve academic development, create social enrichment and recreation, and to provide family involvement. 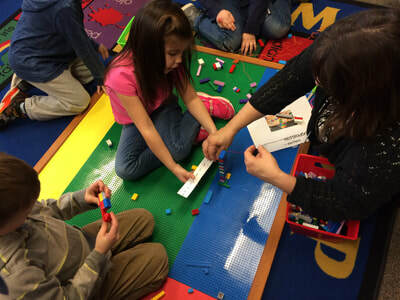 We do this by providing after school activities, early learning programs, P-3 Collaboration, and parenting classes throughout the school year and summer. Sandy Grade Kindergarten Program Innovation Grant Site is funded by the Early Learning Hub of Clackamas County. 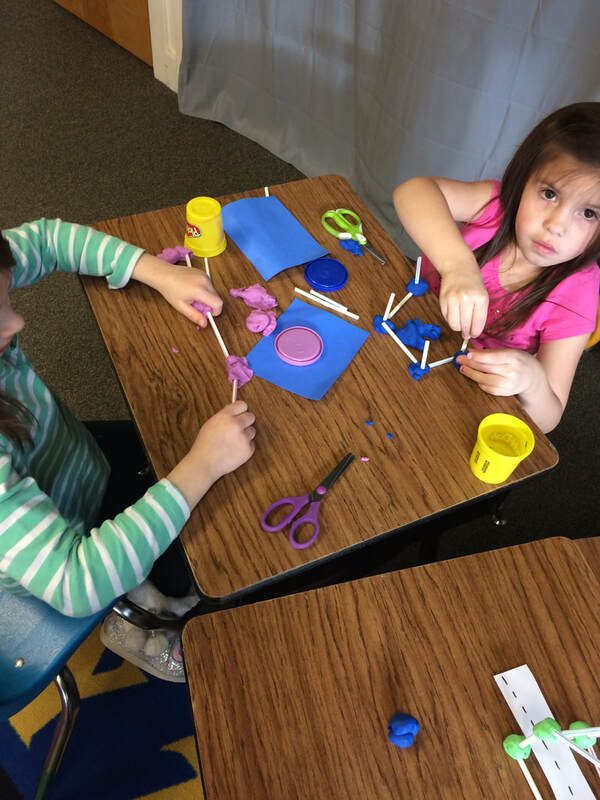 A summer kindergarten readiness class for incoming kindergarteners. Located at Sandy Grade School. This is a two week class that helps jump start incoming kindergarten aged children to help prepare them to be successful in school. Classes are in June. Click here for flyer. 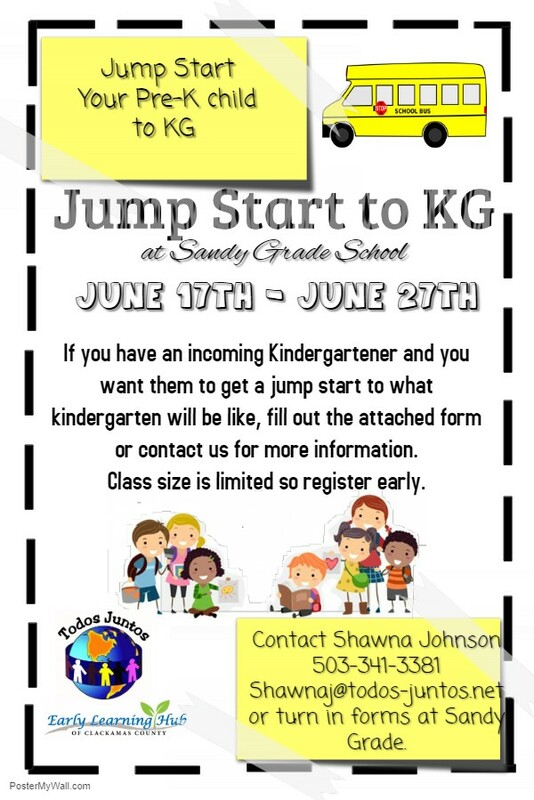 Registration form for Sandy Grade Jump Start. Playgroups in Sandy and Estacada year round. These playgroups are designed to teach parents to play with meaning by emerging literacy and math in everyday play. For toddler to preschool age. A literacy based after school class at Sandy Grade, that uses CHIPs strategies, STEAM activities to foster literacy skills, science, math, art, and critical thinking, and uses Sanford Harmony program to teach social intelligence. This is a fun hands-on class for 5/6 year olds that need extra supports. T/Th after school to 4 pm. First class is Sept. 25th, 2018. 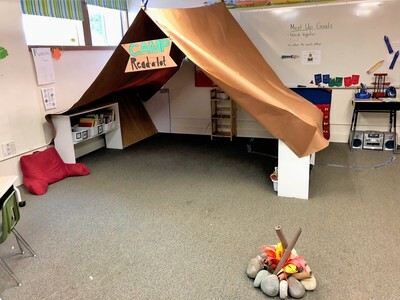 Kindergarten Program Innovation Grant sites are provided by generous funds from Early Learning Hub of Clackamas County.